Cardiff Blues stalwarts Nicky Robinson and Richie Rees have agreed deals to join the region's backroom staff as transition coaches. The duo made a combined 232 appearances for the Blues and won the EDF Energy Cup together in 2009. Robinson of course, joined Wales' capital region as short-term injury cover last season and then continued to assist in a part-time coaching role. The former fly-half has now agreed to become a transition kicking coach, while his long-standing half-back partner Rees joins from the Dragons as transition backs coach. Cardiff Blues head coach Danny Wilson said: "I'm delighted to welcome Nicky and Richie to Cardiff Blues. They bring a wealth of experience and have a strong association with the region, where they enjoyed success as players. "Their appointments are part of our ongoing commitment to invest both time and resource to getting the most out of the young talent within the region. "When Nicky arrived last year and started to do a bit of work with the younger boys I could see he would be a good coach and it is great that he will remain part of our set-up. "We also felt we needed someone to provide more of a service to our young scrum-halves. Richie fits that bill perfectly, as well as working with the backs generally with Matt Sherratt." They join fellow former Cardiff Blue, Duane Goodfield, who has stepped down as Cardiff RFC head coach to concentrate on his role as transition forwards coach. 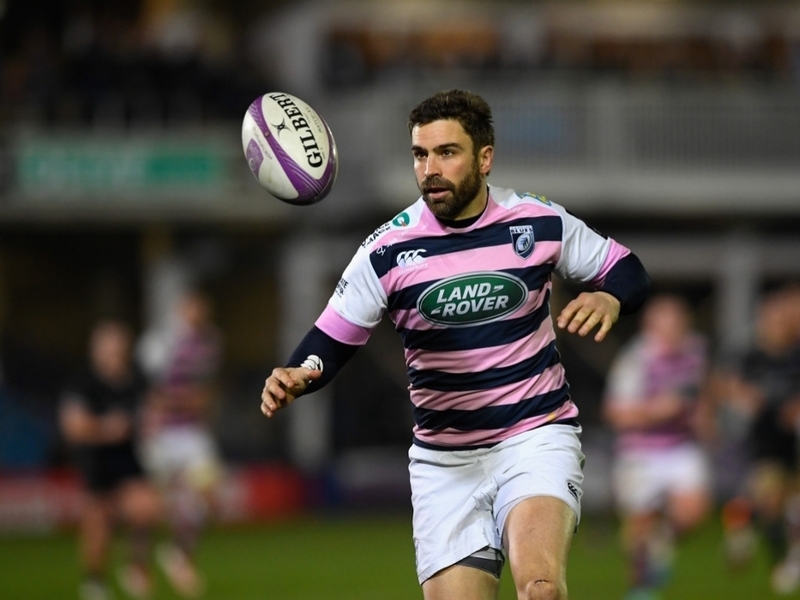 Rees said: "I thoroughly enjoyed my time at the Dragons but when the opportunity arose to come back to Cardiff Blues it was one I simply could not turn down as I have such a big connection with the region. It is great to be back and I'm really excited about this role. "I'm looking forward to working within, and adding to, the transition team and particularly working with and learning from Danny Wilson and Matt Sherratt on the field. "There is so much young talent at the Blues, and you only have to look at their representation at the recent World Rugby U20s Championship to see that. "With a growing emphasis of developing talent within, it is important that we give our young players as much of a service as possible and I'm really looking forward to playing a part in that." During last season, Robinson made seven appearances after answering the Blues' injury SOS and then enjoyed working with the region's young fly-halves. He added: "I really enjoyed my involvement on the coaching side last year and this is a great opportunity for me to work with the young kickers at my home region. "There is some really exciting talent coming through and hopefully I can pass on some of my knowledge to them and help in any way I can."